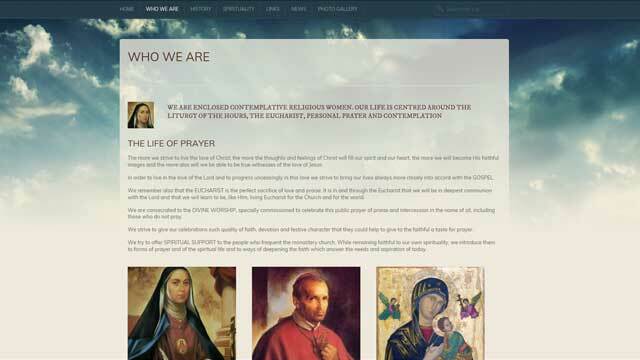 The Redemptorist Nuns (Order of the Most Holy Redeemer) approached Whitespider for bespoke web design and development services to design, build, deploy and host their new website. After a few very helpful meetings the brief was specified and the graphic design was completed. Additional custom plugin development was undertaken to further enhance the administrative areas of the website. Enhanced web security was requested also and the whole package is now deployed and securely hosted on Whitespider’s servers.